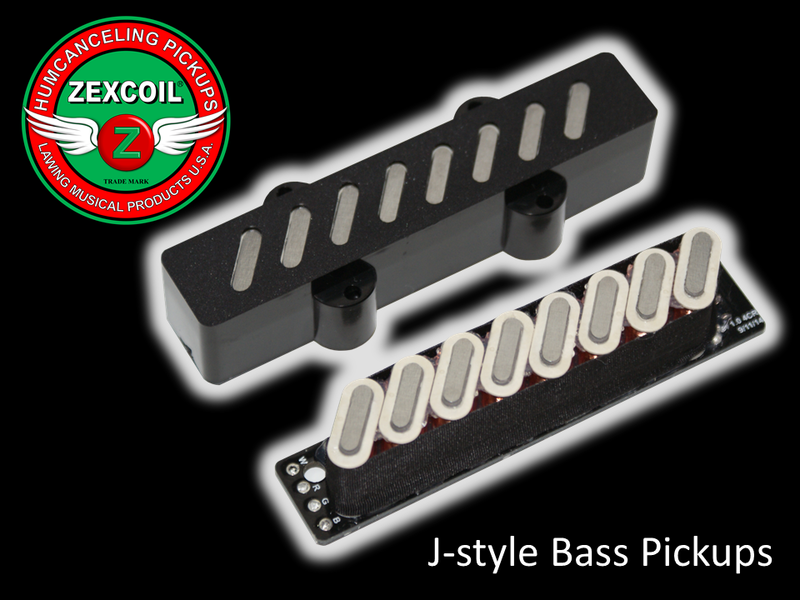 Zexcoil J Bass replacement pickups utilize two coils per string for noise-cancelling and output balance and the flexible voicing technology and Silent Split™ capability of our Strat® and Tele® replacement lines to provide a whole range of powerful, fantastic tones. Legacy Series™ J Bass replacement pickups utilize two coils per string for hum-cancelling and output balance and the flexible voicing technology and Silent Split™ capability of our Strat® and Tele® replacement lines to provide a whole range of powerful, fantastic tones. In a J Bass format, our Convertible voice provides clear, powerful punch in series mode and a slightly fat vintage response in split mode. Please note, Pickups may take 10-15 days before ready for shipment. Lefties are considered special orders and may take up to 2 weeks before ready for shipment. For a thicker, fatter response. In a J Bass format, our Buckers provide a big fat response, kind of like some of those humbucking bass pickups with massive pole pieces in series mode, and a more vintage single coil response in split mode.